Present were: Dustin Nirschl (Fox), Michael Carrol (Kuo), Greg Smith (Shea), Stephen Huang (Khan) and Jeff Pierson (Wagner). Planning Commission opts for recommending the Golf Course Site for the Veterans’ Cemetery. The will of the voters was not given any weight in the decision-making process. 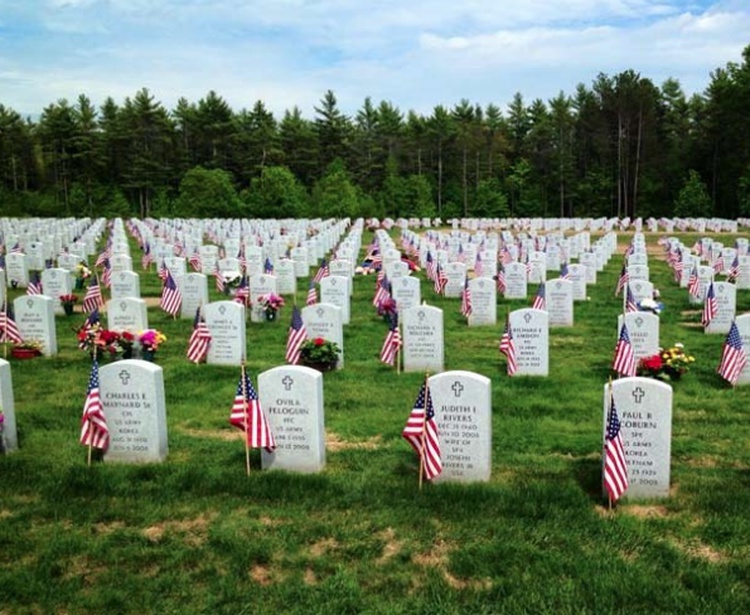 The Veterans’ Cemetery will be on the 3/26/19 City Council Agenda. Staff report by Bill Rodrigues: The staff was asked to provide input on both the ARDA site and the Golf Course site, and key question is when would the Golf Course site and ARDA site become operational. There are no legal agreements between Irvine and Heritage Fields to prohibit the Veterans’ Cemetery at either site. According to the staff report, the start dates for construction of the cemetery would be the same, and the ARDA site would be operational by November 2025, and the Golf Course site would be operational by May 2025. There is more contamination on the ARDA site which consists of buildings with asbestos contamination. The conceptual plan has been completed for the ARDA site, but there is currently no conceptual plan for the Golf Course site, and it would take about a year to complete it. The construction process would take longer for the ARDA site as there is substantial demolition mediation work to be done. The Golf course site just requires removal of runways. Public Comments: The will of the voters should be taken into consideration when choosing the site for the Veterans’ Cemetery. The cemetery will be constructed in phases, so the cemetery project can begin soon. There is plenty of time to complete the demolition. The Cal Vets Organization should control the Cemetery. Commenter said that the lawsuit over the use of the County property in the Great Park should be settled before making the decision on the site. Commenter reported that there are three State Veterans’ Cemeteries in the State, and they are being constructed in phases. Also there has been a mixture of private and government funding for the cemeteries. Commenter stated that there are too many golf courses, and there is no need for another one. The only reason for not selecting the ARDA site for the cemetery site would be because Five Point wants to develop the ARDA site. Carrol: The Golf Course site would be less expensive than the ARDA site for building the Veterans’ Cemetery. Pierson asked if Irvine would be obligated to pay for the decontamination if unknown contamination were to be discovered on the ARDA site. Pete Carmichael (Director of Community Development) reported that the property would be turned over “as is”. Pierson stated that there is more contamination liability for Irvine at the ARDA site than at the Golf Course site, and thus the city should rid itself of the property with the most potential liability. Huang asked for the reason why the Golf Course site was offered as a site for the cemetery. Staff stated that the Golf Course site was offered due to cost considerations. Huang asked for worst case scenario costs for the sites. Staff reported that there are no worst-case scenario estimates. Dirschl asked what the worst-case scenario was for the timeline to complete the projects at both sites. Staff reported that one could not answer that question as there would be multiple points for decisions to be made, and decisions could take a lot of time to finalize. Dirschl asked if there are any current entitlements for the Golf Course site. Staff said that there are no other entitlements for uses of the Golf Course site. City Attorney Melching reported that the Golf Course Site cannot be used for residences or Hotels. The City has the right to construct up to 250 residences on the ARDA site. There is no entitlement for the ARDA site, but by agreement with the city, Heritage Fields/Five Point have first rights to apply for entitlement. Melching also reported that the process for beginning the cemetery project would be: the city makes an offer to give the State the property for the Veterans’ Cemetery; the Legislature would write a bill to approve the acceptance of the land and obtain legislative approval; have Cal Vet write an application requesting the land for the cemetery, then obtain legislation to fund the accounts for the cemetery. Melching further reported that Irvine’s standard for contamination is higher than the Navy’s standard thus the city has purchased insurance to cover the gap between cleanup standards. According to Melching, most costs for contamination remediation are related to demolition costs. Smith reported that during the last budget presentation by staff, it was reported that there is a projection of a 60 million dollar budget deficit, thus the cheapest choice should be made. Smith stated that it is cheaper to build on bare land than on land with structures on it. Smith also stated that Irvine cannot rely on State, Federal and County promises to provide funding for the Cemetery. Smith further stated that the City should not allow the County to control how we use land in Irvine. It was moved that the City go ahead with the Golf Course Site and do it quickly. It was also moved that Irvine should get the land back from the State if Cal Vet does not take up management of the Cemetery within 10 years. Motion passed 4 yes 1 no (Huang). City Attorney Melching’s report: Small cell installations are highly regulated by Federal laws, State laws, FCC rulings. Cellular installation trends are that the installations are getting smaller and closer together. Local regulations are being constrained to where the cities have little control. Hundreds of cities are in litigation over cellular installations. The rules do not allow for discrimination between providers, delay in application approvals and do not allow consideration of radio frequency emissions. City Attorney Van Ligten reported that there is a “short clock” time frame for approving the applications for installations which if not met, results in automatic approval of the applications. There is 60 days for applications for co-location (having a provider share an existing installation with another provider) or 90 days for a new installation application. To a point, aesthetics can be considered. Short Clock is supposed to be a “reasonable” period of time and “reasonableness” can be challenged. It was further reported that the city cannot limit or inhibit the ability of any provider to apply for installations thus the city has to allow proliferation of poles. Public Comment asked for more wireless cell coverage but not a forest of poles. Commenter stated that San Diego has multiple providers sharing poles, but Irvine has each provider having separate poles. Smith stated that Irvine does not have utility poles as most utility installations are underground. Carroll stated that he wants to make sure that the radio frequencies used by providers do not interfere with other community equipment that operates with radio frequencies (utility meters, medical equipment, driverless cars). He asked that providers be limited to assigned radio frequencies. Provider comments: SCE representative stated that there are multiple pole designs, so Irvine has some choice in design. Pierson asked if there could be co-location on poles by multiple providers. Huang stated that he is concerned about not allowing co-location. SCE representative stated that due to the current standards of Irvine’s pole requirements, only one provider per pole is allowed. Poles for co-location are taller, bigger and wider. SCE also said that it takes a long time to change standards for poles. Pierson stated that the city has to make sure that every development has enough small cell poles.